 See Binding affinities for Protein A and G.
Recommended Reading - Proteus Protein G Antibody Purification Handbook. Abdelkrim, M.A. et al. (2012) Autoantibodies against cardiac β(1)-adrenoceptor do not affect the low-affinity state β(1)-adrenoceptor-mediated inotropy in rat cardiomyocytes. Can J Physiol Pharmacol. 90: 407-14. Soler, L. et al. (2011) Development and validation of a novel competitive ELISA for the detection of serum amyloid A in pigs. Kimura, K. et al. (2012) Pyrroloquinoline quinone stimulates epithelial cell proliferation by activating epidermal growth factor receptor through redox cycling. Free Radic Biol Med. 53: 1239-51. Montaudon, E. et al. (2014) Cardiovascular effects of beta1 and beta3-adrenergic receptor autoantibodies in Lewis rat. Ann Cardiol Angeiol (Paris). 63: 128-34. Yuan, W. et al. (2015) Quantitative analysis of immunoglobulin subclasses and subclass specific glycosylation by LC-MS-MRM in liver disease. Broecker, F. et al. (2016) Multivalent display of minimal Clostridium difficile glycan epitopes mimics antigenic properties of larger glycans. Montaudon E et al. (2015) Cardiac effects of long-term active immunization with the second extracellular loop of human β1- and/or β3-adrenoceptors in Lewis rats.